There is also an LtiLibrary.Sample package which adds sample MVC and Web Forms to an empty ASP.NET Web Application. In Visual Studio start a New Project. Run the project and click on the Launch link to launch a sample tool. If you are looking for a more robust example of a Tool Consumer and Tool Provider, check out the LtiSamples code in CodePlex. This entry was posted in Uncategorized and tagged ASP.NET, LTI, LtiLibrary, MVC, sample, Web Forms. Bookmark the permalink. Parser Error Message: Could not load type ‘WebApplication5.WebForms.Default’. Would you mind posting LtiLibrary questions over on http://ltisamples.codeplex.com? 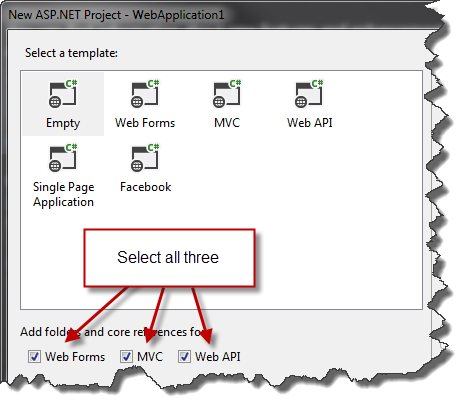 the Asp .net MVC works very well, but not the Web Forms sample. return View(ltiRequest.GetLtiRequestViewModel(“*******”)); and it works! but it doesn’t work 😦 , do you see something wrong…? or any suggestion please? I’m sorry, but I’m not able to help debug your code. Thank you for the sample, the WebForm works only on Internet Explorer and not with chrome and firefox.